Adding an intricate piece of wall art can not only create a cohesive look to your home decor, but also adds a lovely bit of texture. 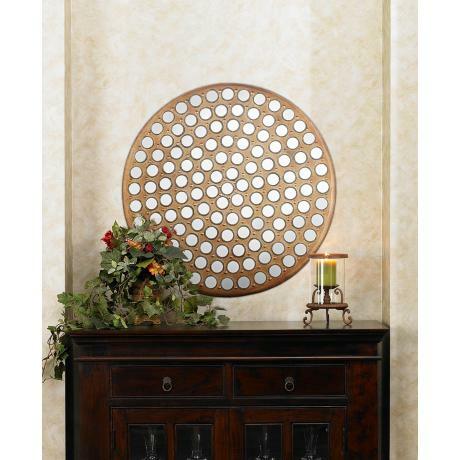 Designed exclusively by Uttermost, this wall art design will bring a new shine to any room. 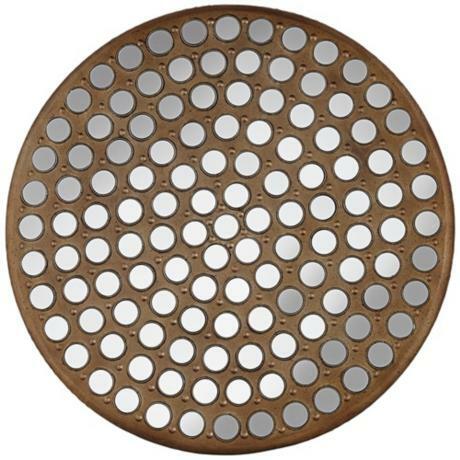 The design comes in an exclusive distressed bronze finish and is decorated with a series of round mirrors. Use it to bring light and texture to sitting areas, hallways and more. • Custom made by Uttermost. • Raised metal circle accents. • Each mirror disk is 2" round. • Hang weight 10 pounds.